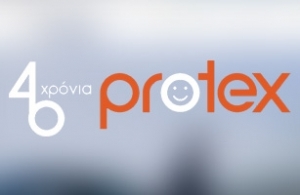 After many years with an old website, Protex came to us in order to re-design and re-develop protex.gr. Staying focused on company’s philosophy, we have maintained the basic structure, giving all information about safety in balconies. The new website is designed and developed, based on the principles of Responsive Design, so that anyone can easily navigate to the website, regardless of the device he uses. Finally, we enriched the photo gallery in each separate section of balconies situations with numerous photos of its installations. For the development of the said website, we used the latest version of Joomla, with all its essential elements such as K2 component, as well as customized modules where necessary. Intros.gr implemented all the techniques for search engine optimization for the website. We also, consulted Protex on the content of the site in order to achieve an optimal rating in S.E.O. Finally, we proceed with digital promotion and advertisement for the company.